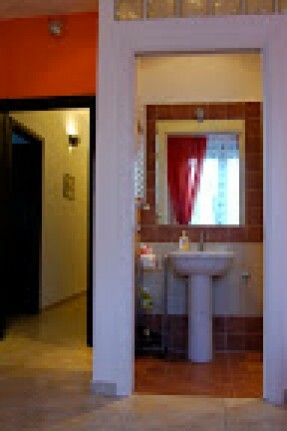 The B & B "Under the sky of Rome" is located in the San Paolo area, a district located in the center of Rome. The B & B offers double rooms, single use, or add a third bed. 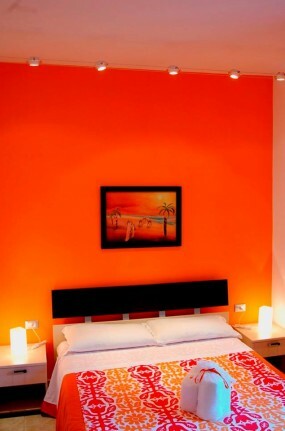 The rooms are equipped with private bathroom, TV, internet wi fi and air conditioning. 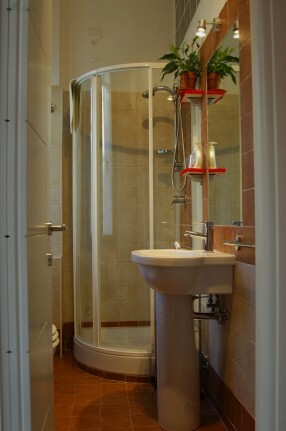 The Bed and Breakfast "Under the Sky of Rome" is located in the San Paolo area, a district located in the center of Rome. 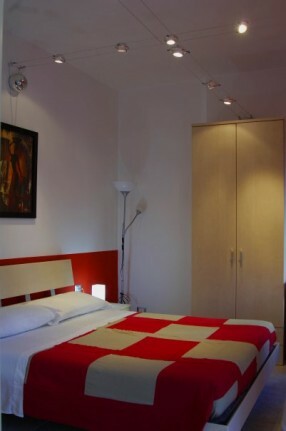 The B & B offers double rooms, which can become single use if needed, or add a third bed. 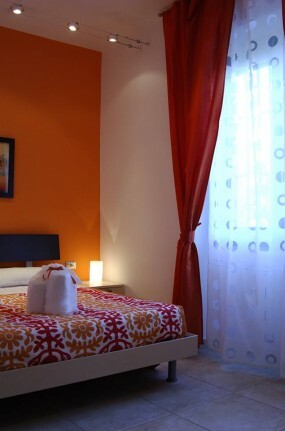 The rooms are equipped with private bathroom, air conditioning, internet WI - FI and any other necessary comfort. The accurate and total renovation, the taste in furnishing and details that distinguish this B & B make the environment young and modern. In the morning the smell of coffee will wake you up and a rich breakfast will provide you with all the energy you need to start the day. 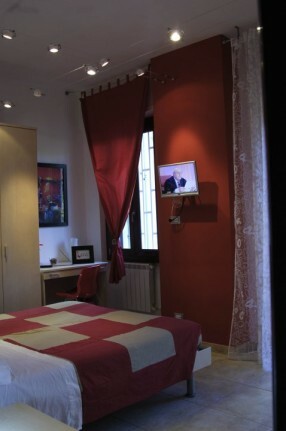 You will be able to pass a stay in the extremely pleasant Eternal City. 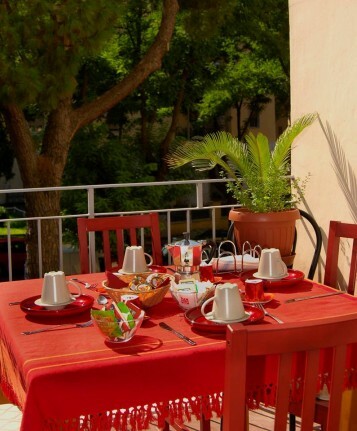 The B & B "Under the Sky of Rome" is located in a strategic area of the capital. It is only 250 m from the "Marconi" stop of the underground line B which allows you to reach the Circus Maximus in 5 minutes, in 7 the Colosseum and the Fori Imperiali, in 10 the Termini station, the main hub of Roman urban transport; in 15 minutes the "Spagna" stop, where there is the famous square and the magnificent staircase of Trinità dei Monti, in 20 minutes the Ottaviano stop to reach the Vatican City. In addition to the underground, there are numerous urban surface transport lines, which allow you to reach every corner of Rome. At about 400 m from the B & B there is also the BAMBINO GESU 'Hospital, the Third University of Rome and the Basilica of Saint Paul Outside the Walls, one of the four Basilicas of the capital. The "Vaclav Vojta" rehabilitation center is just a few hundred meters away. Moreover, at 19 km, there is the Leonardo da Vinci airport of Fiumicino, easily reachable both by the Rome-Fiumicino highway in about twenty minutes, or by train in about forty minutes. From the B & B, with the same metro line, you can reach the EUR area, the Palazzetto dello Sport (Palalottomatica), the Congresses and numerous Ministries. Just 10 minutes by car or bus you can reach the new CINECITTA 'WORLD amusement park. Also in just 20 minutes you can get to ZOOMARINE, the sea (Ostia Lido) and the excavations of Ostia Antica. Another itinerary not far from the B & B is Via Appia Antica with its numerous monuments and the catacombs of San Sebastiano, Santa Domitilla and San Callisto. l B&B “Sotto il cielo di Roma” si trova nella zona San Paolo, un quartiere situato al centro di Roma. 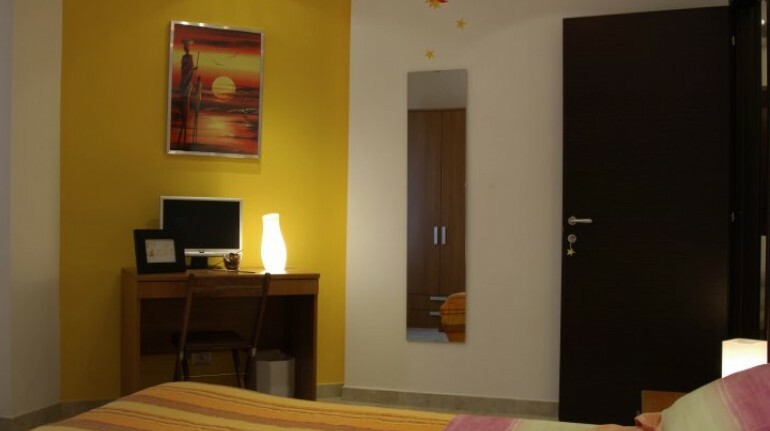 Il B&B offre camere doppie, uso singole, o aggiungere un terzo letto. Le stanze sono dotate di bagno privato,tv, internet wi fi e aria condizionata.